I used the Simplicity 2261 pattern, View C (minus the lace), and modified it slightly due to a lack of fabric. This pattern instructs that you cut 2 Front pieces (one will act as facing that also stabilizes the front neckline). I only had enough for one Front piece. 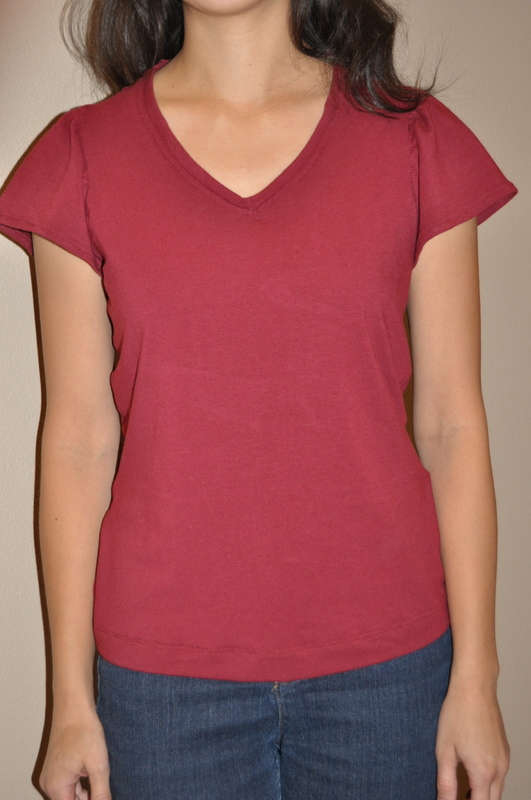 Because I had no front facing, I improvised a front-neckline stabilizer based on the back-neckline pattern. Based on the pattern, this “stabilizing-trim” is stitched to the outside of the shirt, then folded over itself inside the shirt and topstitched in place. 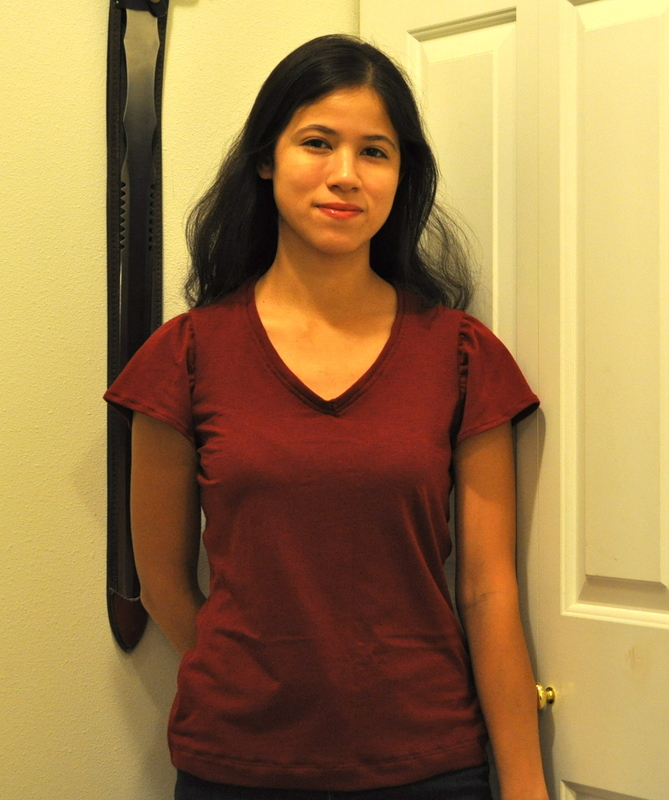 It is meant to be hidden inside the shirt, but when I was folding and pressing it down, I found that I liked how the trim looked “standing up” and it was less bulky. I topstitched 1/4 in. from the seam to hold the raw edges in place inside the neckline. The neckline gapes and puckers in a few places, but I hope it goes unnoticed to the casual observer on the street. I do not own a serger, though I can see why someone who works with knits ofter would want one. Thank goodness of the internet and sewing blogs which reassured me that I COULD sew knits with a regular sewing machines. I zig-zag stitched the raw edges of each seam allowance, and then top stitched along the side seams and hem to add support. These sewing blogs tell me that some threads are better for knits than others, and there are tricks to keeping one’s stitches from puckering. One day I’ll get there.